This installment of the Design Collective series is stuffed full of pillows! Make a distinctive statement with eye-catching modern designs—choose from 25 different 18” to 20” square pillow projects to decorate your home. Pull out your favorite fabrics and have fun stitching up something new to adorn your bed or favorite chair. 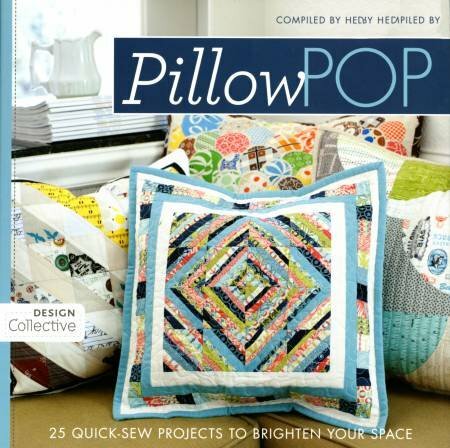 Popular blogger and modern sewist Heather Bostic brings you a sensational selection of pillow projects. Try different techniques like paper-piecing, quilting, embroidery, and appliqué. 20+ designers with fresh, modern style offer something for everyone at any skill level.